NEW YORK--(BUSINESS WIRE)-- MetLife, Inc. (NYSE: MET) today announced a series of changes to its senior leadership ranks in connection with its CEO transition, all of which are effective May 1, 2019. Executive Vice President and Chief Risk Officer Ramy Tadros will become president, U.S. Business. He will succeed Michel Khalaf, president, U.S. Business and EMEA, who becomes MetLife president and chief executive officer on May 1, 2019. Tadros will report to Khalaf and continue to serve on the company’s Executive Group. Dirk Ostjin, senior vice president and head of EMEA, will continue to oversee the EMEA business reporting to Khalaf. 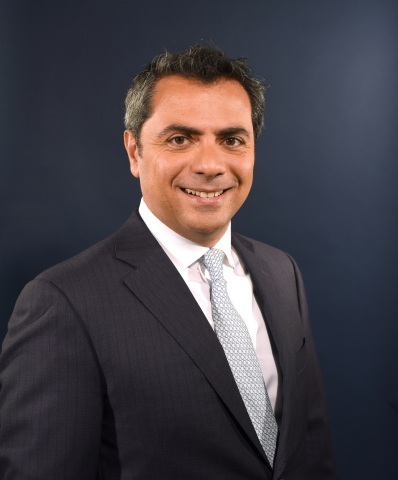 Tadros joined MetLife in September 2017 from Oliver Wyman, where he was a partner, global head of Insurance, and member of the firm’s operating committee. “I am confident that Ramy’s vast knowledge of the industry and strategic skills will position the U.S. Business for future success,” Kandarian added. MetLife also announced today that Marlene Debel, currently executive vice president and head of Retirement & Income Solutions (RIS), will become MetLife’s Chief Risk Officer. She will report to Khalaf and join the company’s Executive Group. Before joining MetLife in 2011, Debel was global head of Liquidity Risk Management and Rating Agency Relations at Bank of America. Prior to that, she was assistant treasurer of Merrill Lynch & Co. She spent 20 years in a number of leadership positions across global treasury at Merrill Lynch. MetLife also announced that Graham Cox, executive vice president in Global Risk Management (GRM), will succeed Debel as head of RIS and report to Tadros. Cox has extensive business and risk management experience and has held several leadership roles since joining MetLife as an actuary in 1995. He has overseen MetLife’s Group Life product portfolio and the Product & Operations unit of the former International Business. He has also served as Head of Western Europe. “Graham’s leadership abilities, mix of pension and risk expertise, and customer focus make him the right choice for leading the responsible growth of RIS,” Khalaf said.